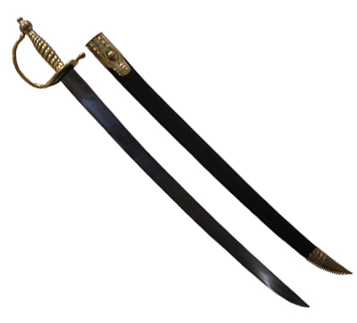 This sword is nearly identical to our #58 British Hanger but with slightly less finish to the brass and scabbard. 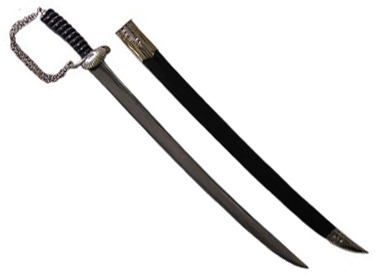 Still it's a very good sword for the price. 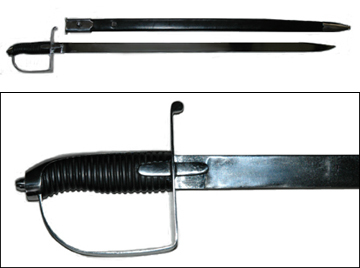 The hilt has a single branch which expands into the heart-shaped guard. The 25" blade is slightly curved. It's acceptable for use in both British and American regiments of the period.